Stock Clearance of a Wholesale & Retail Showroom. 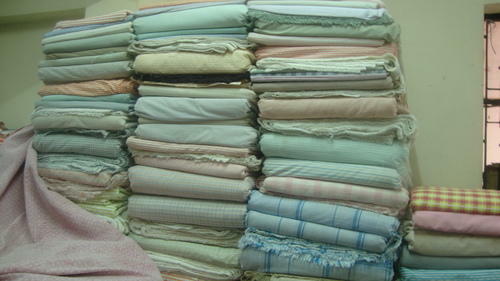 Stocks contain all kinds of Fabrics & Garments in 100% Cotton with #s in Checks, Stripes, Solids, Voiles, Furnishing item, Printed, Velvet, & in Garments Mens Shirts, T Shirts Readymade Printed Bed Sheets, Cushions etc etc. Fabric width available in 47", 60", 90", 120". Stocks are available in big qty per # as well as in Assorted manner. Stocks worth Rs.1.25 Crore offered @ flat 50% off for Rs.60 Lakhs only. Interested Parties may contact. Manufacturing and supplying cotton yarn dyed fabrics, cotton garments such as gents wears and shirts.